The Leo Thorsness Memorial Park is 1 block square and is located on the main street. Tennis court, basketball court, band shelter, picnic shelter, playground equipment and public bathrooms are available. Ferguson Park is located behind the Middle School. 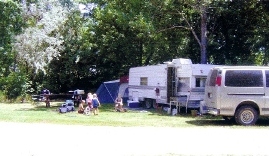 It is a shaded, quiet residential park with picnic shelter, bathrooms, sand volleyball court and play ground equipment. Plum Creek County Park is located 1-mile west on county road 20 and 1-mile south on county road 78. The upper park consists of 60 campsites w/electricity, showers, dump station, playground equipment, and hiking trail around Lake Laura. 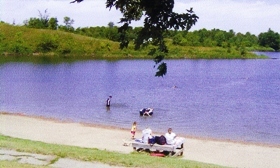 Lake Laura offers swimming beach and fishing. A nine hold Frisbee disc court is offered. The Lower Park features ball fields, picnic shelter, playground equipment, winter sledding, and a hiking trail. Native tree species are identified on a self-guided walking tour titled “When the Prairie Whispers.” Booklets are available for purchase at the Wilder Museum. Campsites are on a first come first serve basis.